Can’t wait for the DVD release of The SpongeBob Movie: Sponge Out Of Water? Paramount Home Media Distribution and Nickelodeon have just the thing to make the time fly by! 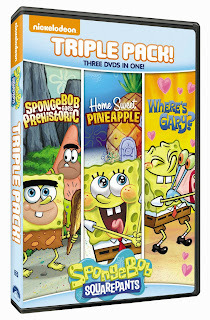 Take a trip back in time to some of SpongeBob’s most exciting adventures with SpongeBob SquarePants Triple Feature: SpongeBob Goes Prehistoric, Home Sweet Pineapple, Where’s Gary? 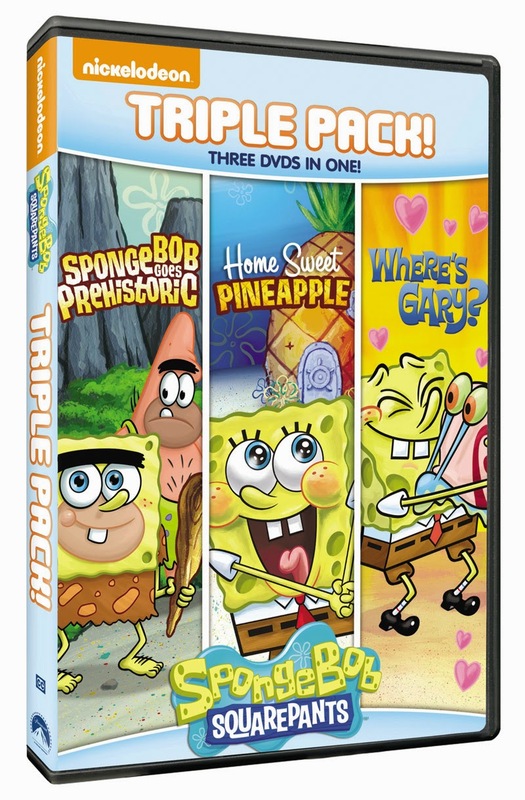 This three-disc DVD set, filled with over 4.5 hours of SpongeBob adventures, swims onto DVD on June 2, 2015.